A guy is about to get married, but before he settles down for good he looks back at a string of previous bad relationships and asks himself whether he was to blame for the relationships going wrong and whether his ex-girlfriends still harbour bad feelings towards him. He embarks on a road trip to meet the four ex-girlfriends that he feels he has wronged the most to discover how they feel about him now. 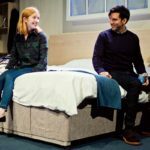 The play is neatly divided in four very separate but linking scenes, four cities, four hotel rooms, and four girls who have four completely different characters. Charles Dorfman plays ‘guy’. Is his name Guy, or is he just ‘a guy’? Certainly his name is not addressed by any of the girlfriends, leading us to believe that the character is meant to represent mankind and that all men have this guy’s traits. He meets each of his exes in turn, (the girls do not meet), and we realise that he doesn’t have a ‘type’, the four women he meets are very different from each other. Sam (Elly Condron) was his first love when they were at senior high, now she is married with children and yet still bitter about the way he ran out on her. Tyler (Roxanne Pallett) is a good time girl, happy to pick up where they left off. Lindsay (Carolyn Backhouse) was prepared to risk her marriage and career for him but is now bent on revenge and Bobbi (Carley Stenton) with her feet firmly on the ground willing to listen but not to accept anymore of his lies. Playwright Neil LaBute consistently writes about complex and twisted characters and this is no exception. Guy is portrayed as manipulative and yet at the same time weak and scared of commitment. The girls are very different but he follows the same destructive pattern each time. Is he trying to clear his conscience, is he trying to learn about himself and can he break this pattern as his settles down in matrimony? A strong cast and slick direction from Gary Condes, each scene complimenting each other perfectly to slowly build up a startling characterisation. The pace is necessarily slow and although there were a few laughs the piece is quite dark and disturbing. The set is inspired, as Some Girl(s) is set in 4 hotel rooms it must have been very tempting to keep them all identical however between each scene beautifully choreographed chambermaids change the room around for each girlfriend, each bedroom cleverly matching the girl’s personality. 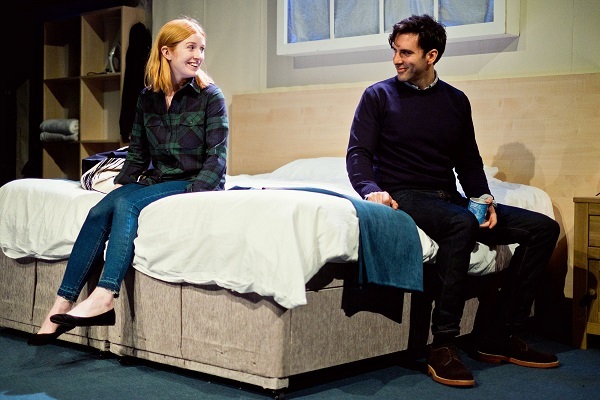 Some Girl(s) is an enjoyable, clever and thought provoking play. Maybe it is a ‘female thing’ but I recognised traits in all of the female characters yet the guy left me cold. I felt no sympathy towards him whatsoever and would have liked to have seen him get his come-uppance. Guy had unfinished business and I left the theatre feeling it was still there in bucketloads. 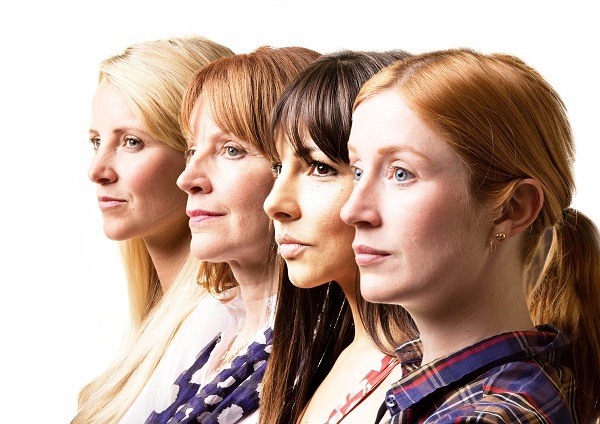 Some Girls has been produced by the Buckland Theatre Company and plays at the Park Theatre until August 6th. I went to see Some Girl(s) as part of the TheatreBloggers network – you can read other posts about Some Girl(s) here. After the show we were lucky enough to attend a Q&A session with the cast and director Gary Condes hosted by Terri Paddock. You can hear the podcast here.